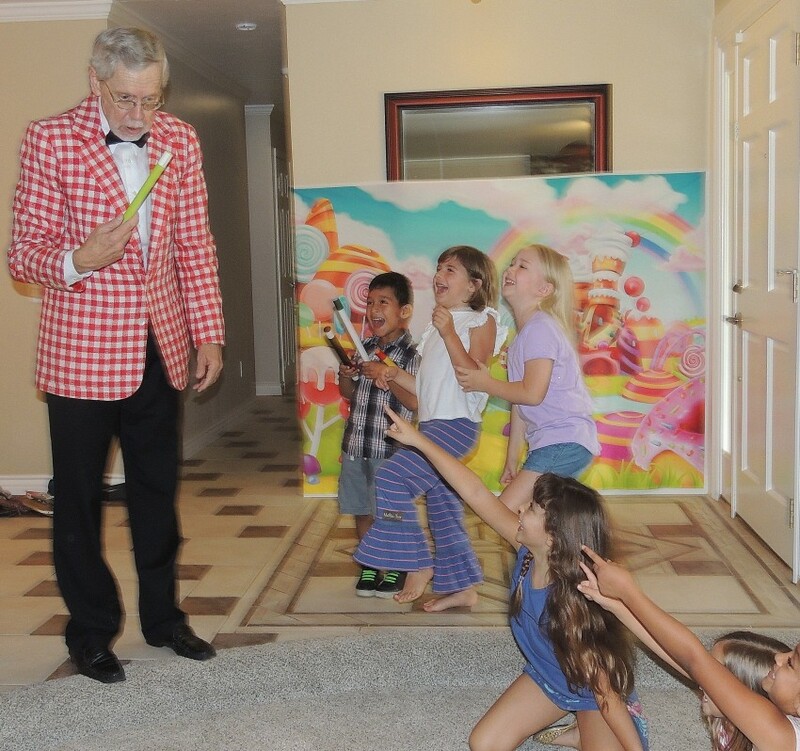 Professor Rich is San Diego's premier kids' magician! He's performed more than 2000 kids' shows, causing GASPING and LAUGHING and POINTING! At a birthday party your child will be the star of the show! And you'll look like a hero for booking Professor Rich! All the kids will be involved with the magic and the birthday boy or girl will be called on frequently to make the magic happen. Other events where Professor Rich performs are just as exciting . Professor Rich knows children! He taught in public schools for many years. This gives him a leg up on other magicians. He knows what kids like and how to make them laugh and gasp! Professor Rich was an amazing addition to my sons 6th birthday party. He had the attention of every child there the entire show! Everyone, including the parents, were laughing and participating. My kids are still talking about his magic show. He was super easy to work with too! Thank you, Professor Rich! Professor Rich makes your job as a party or event planner so much easier. He brings everything he needs...his own table, a sound system, and of course a bunch of tricks. All you have to do is sit back and enjoy the show. No preparation or other help needed! A Professor Rich show is usually 45 minutes long. 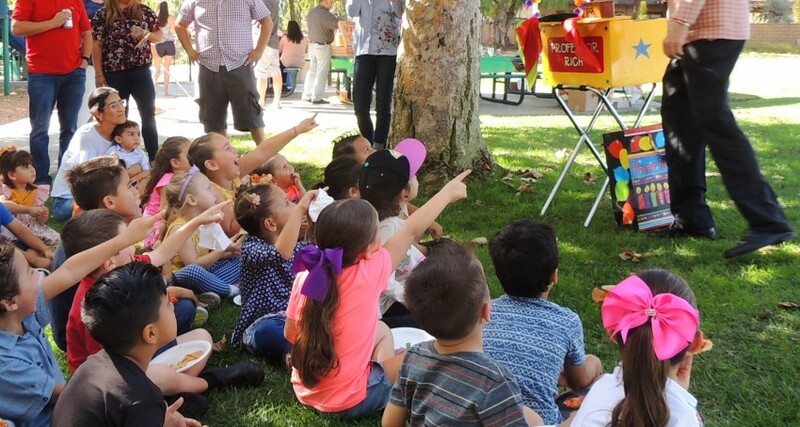 Unlike at most magic shows, the kids don't just sit quietly, watching the show, with an occasional "Wow" or applause or laugh. No...it's 45 minutes of almost CONTINUOUS laughing, gasping, pointing, and excitement. So expect great entertainment for both kids and adults with no work on your part! Professor Rich (you can just call him "Rich"!) did his first professional magic show when he was ten. He charged a penny to get in. He's a lot better now! 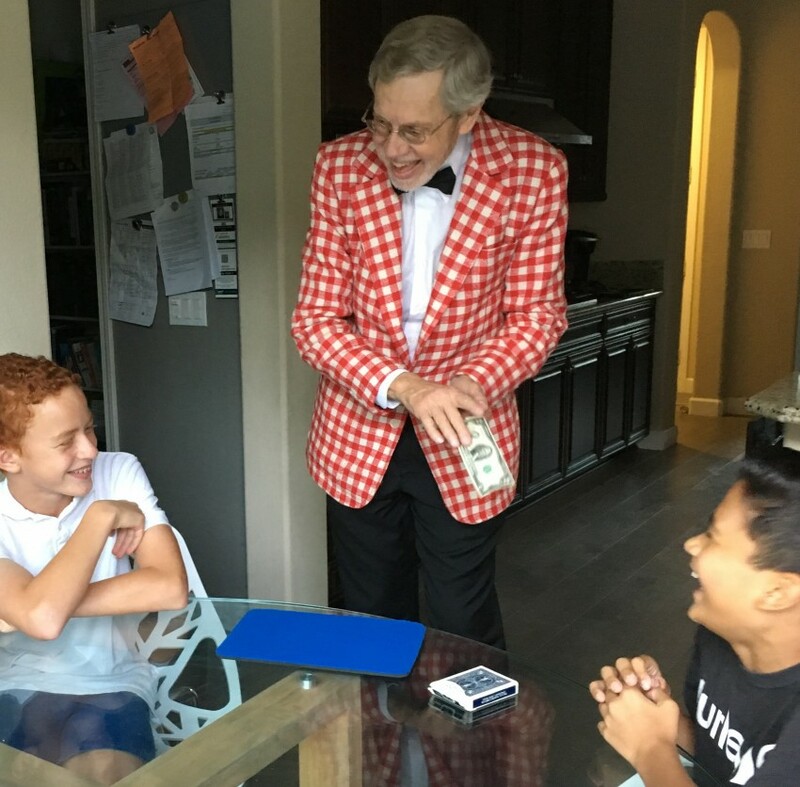 While he was a teacher, Professor Rich did magic at birthday parties and other events on the weekends and during the summers. He also took off four years to do magic full-time. Now he has quit teaching again for more full-time magic. 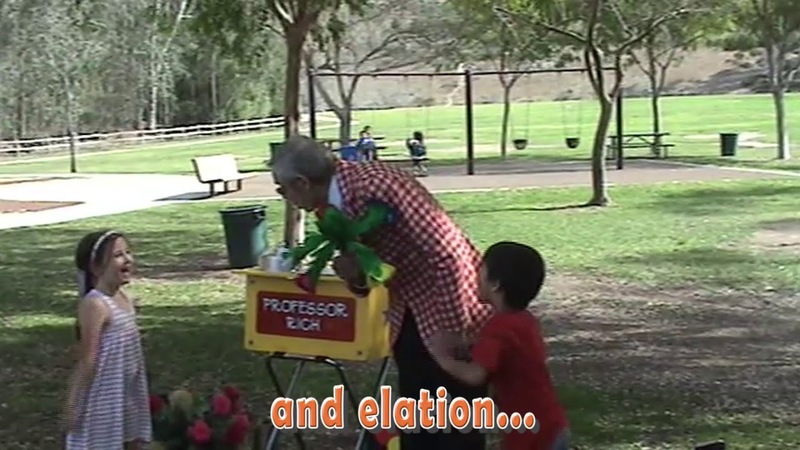 Professor Rich's natural ability to entertain children was enhanced during his years teaching. 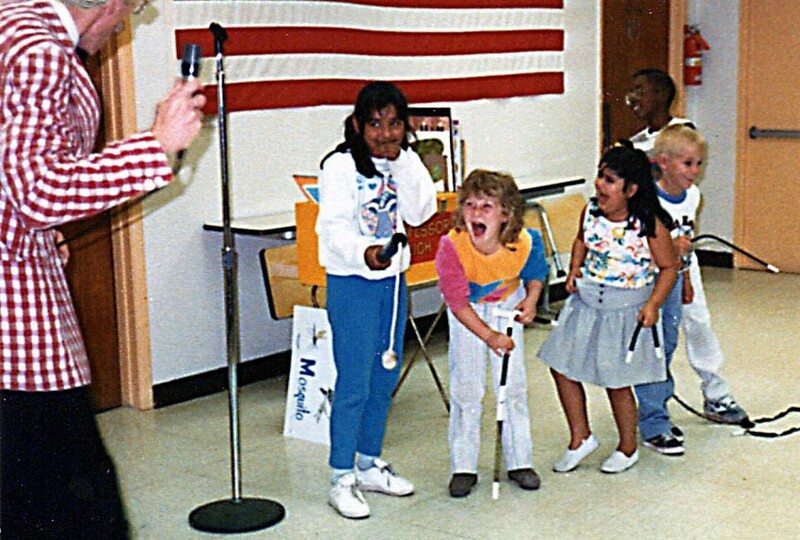 He knows what kids love and how to make them laugh and gasp. His shows are FUN! My act is both magic and children's comedy, so I have been influenced both by magicians and children's entertainers of all types. Professor Rich supplies everything he needs, even the table!